An adjustable 1A switch-mode voltage regulator, high-efficiency replacement for three-terminal linear regulators. 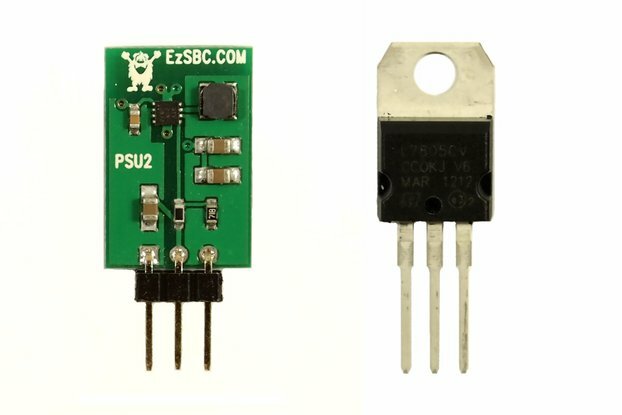 This is an adjustable 1A switch-mode voltage regulator in the same size as our popular PSU2-3 and PSU3-5 regulators. It is a high-efficiency replacement for popular three-terminal linear regulators. It is pin-to-pin compatible with the common LM7805 linear regulators. The maximum output is 1A of continuous current. 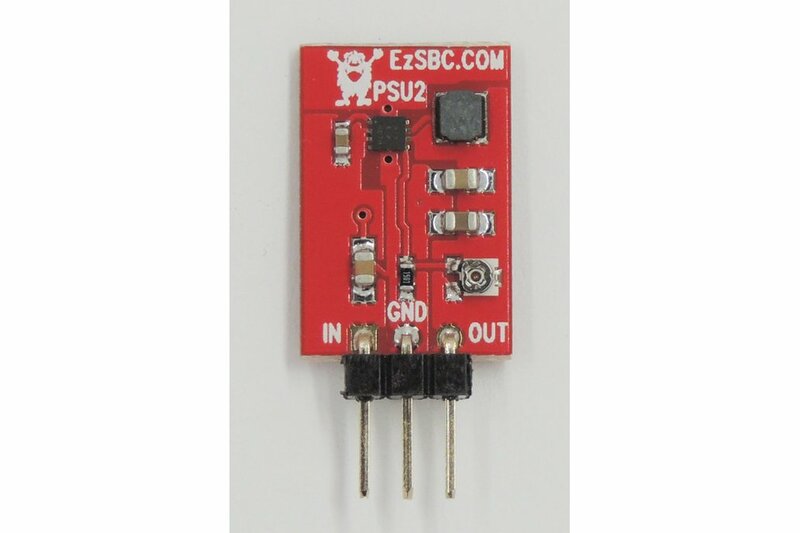 It is a true drop in replacement for TO-220 sized regulators. 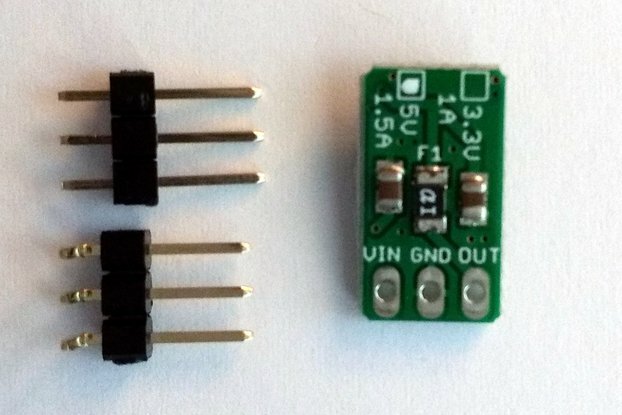 A small potentiometer allows the output voltage to be adjusted between 0.8V and 6V. 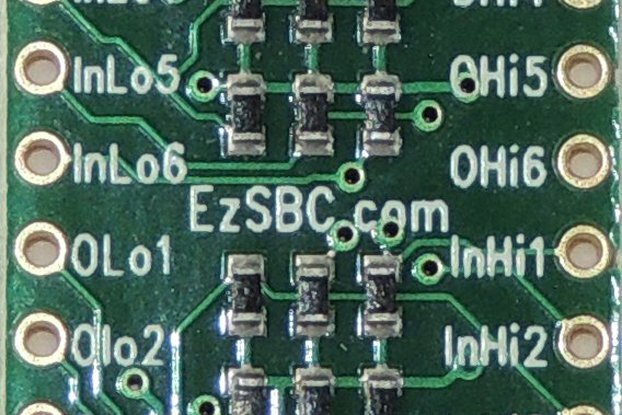 All the required capacitors are included on the module, no external capacitors are required. No heatsink required, even at 1A continuous. The output voltage guaranteed to be within +/-1% of the adjusted value. 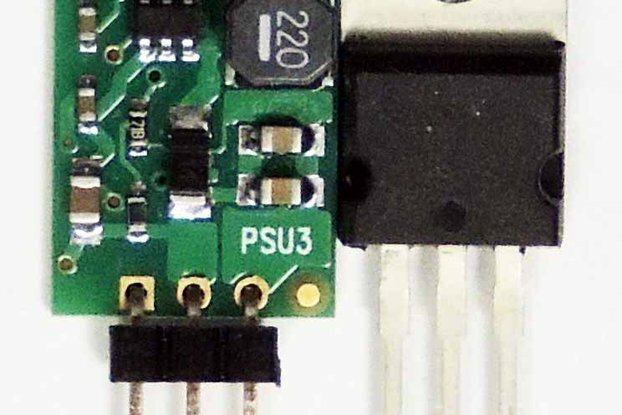 The module has thermal shutdown and current limit protection. 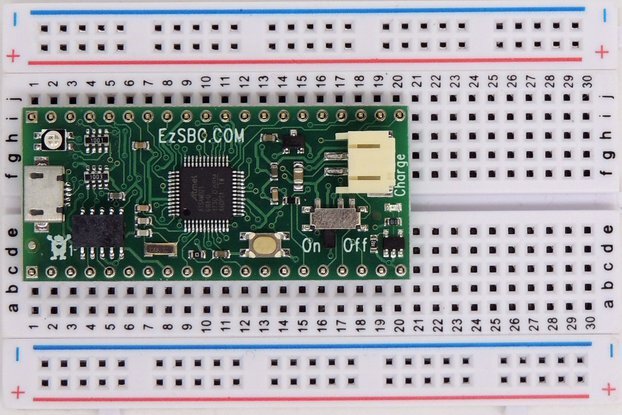 The board is small in size and breadboard friendly, making it an ideal solutions for breadboard prototyping. 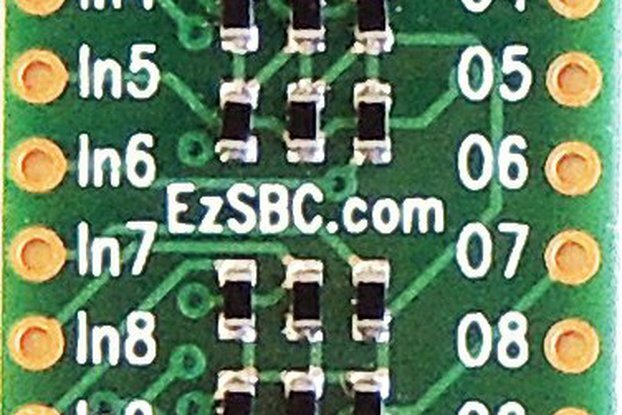 Red solder mask to distinguish it from our 5V and 3.3V regulators. 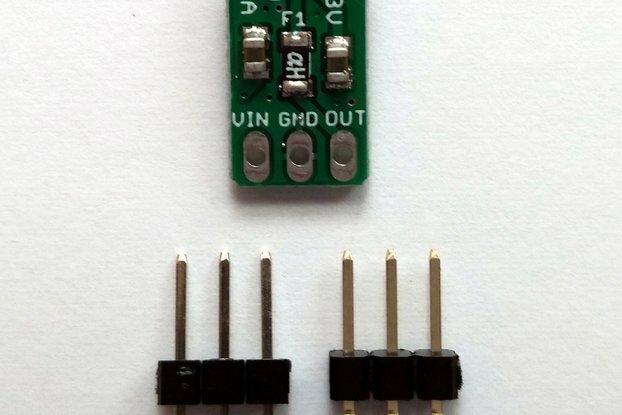 Drop-in replacement of 3-terminal LM7805 or equivalent linear voltage regulator. High efficiency, greater than 70% for loads greater than 1mA, peak efficiency achieved of 90% at 300mA load current. 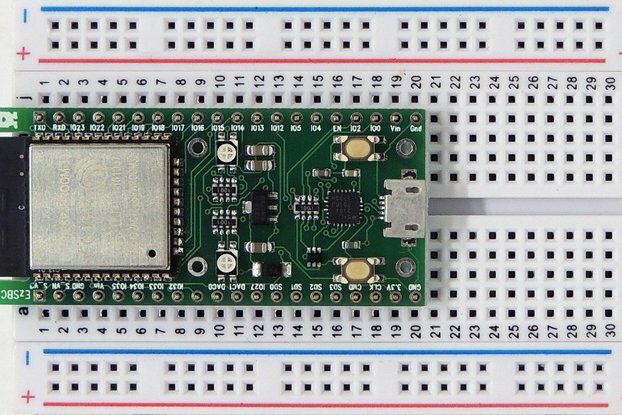 Board dimensions are 0.51" x 0.75" or 12.9mm x 19mm excluding pins. With pins 1.09" or 27.75mm. Available with straight or right angled pins or without pins. Can drive inductive loads such as DC motors. 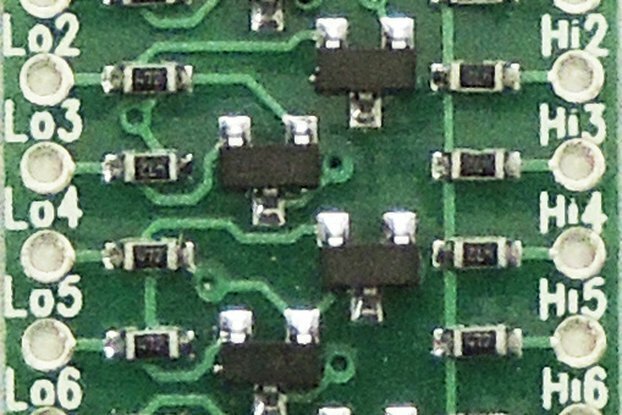 The photographs show an LM7805 next to the PSU2-Adj module for a size comparison.